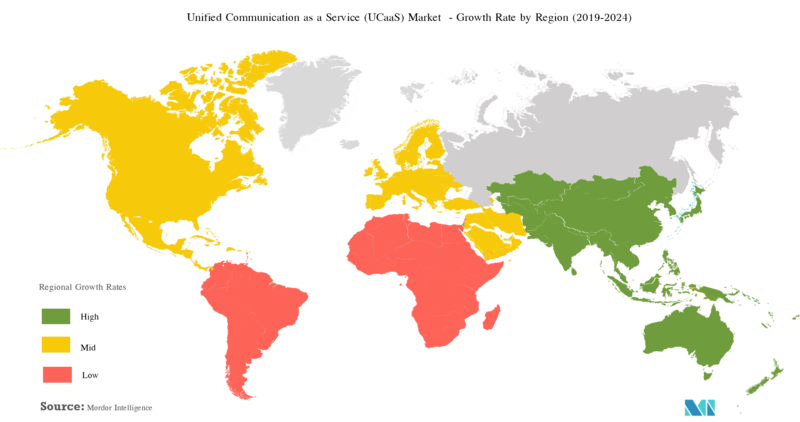 The global Unified Communication as-a-Service (UCaaS) is segmented by End-user Industry( Healthcare, Retail, Manufacturing, Financial Services, and other End-user industries) and Region. The global unified communication as-a-service market was valued at USD 4370.19 million in 2018 and is expected to reach a value of USD 17165.9 million by 2024, at a CAGR of 25.67 %, during the forecast period 2019 - 2024. Unified Communications (UC), since its inception, emerged as a cost-effective solution for businesses across industries, such as healthcare, BFSI, and retail. The need for easy-to-maintain network systems that enable effective communication possible across the end-user industries, including retail, healthcare, and manufacturing, among others, is evident, considering the old/obsolete contact centers. Ease of adopting cloud technology has further boosted the adoption of video conferencing, which is driving the adoption of cloud services for various business needs. The availability of cloud-based systems is easing the adoption of UCaaS by healthcare providers. For instance, in 2018, The British Medical Journal (BMJ) deployed RingCentral's unified communications-as-a-service to make its comms infrastructure fit for the cloud era. This has helped BMJ to improve on its support processes. The growing adoption of BYOD and other mobility solutions has been aiding the adoption of UCaaS solutions. With respect to the consumer, mobile-first solutions, and IP applications, communication is enabled through chat/audio/video call through the same device, which addresses all customer queries. These solutions are aimed at enhancing customer service assistance, self-service, and merchandise inquiries. Employees benefit from deploying virtual training and merchandise management tools. Companies are also introducing new products or services into leverage the growing demand for UCaaS. Maintel launched ICON Now, which is a UCaaS offering aimed at companies with 100 to 1,000 employees. Unified communications as a service refers to a service model where the provider delivers different telecom or communications applications, software products and processes generally over the web. The unified communication unifies or integrates all the communication methods used by a business into a single platform or multiple communication tools. This report segments the market by End-user Industry (Healthcare, Retail, Manufacturing, Financial services, and other End-user Industries) and Region. A better quality product to be manufactured needs good monitoring, greater control over the process, smooth functioning of the machinery and no downtime. This is possible if there is good communication between the personnel managing the respective areas on the work floor of such factories. Unified Communications as a Service can help in managing the assets of a factory. This is possible just by scanning the QR code placed on the machine equipment that holds the data like warranties, maintenance logs, manufacturing dates and more by using a UCaaS app on a smartphone that instantly updates the information on the equipment. This allows the companies to better track their assets allowing them to order a repair or replacement if needed. Computer-Aided Design is a software that is used for the creation, modification, analysis or optimization of a design that is used by the companies to improve the productivity of the designers, quality of the designs and improve the communications by creating a database for the manufactures. This software coupled with the services offered by the UCaaS can be helpful for the personnel to gain greater control over their designs by allowing them to communicate with other designers operating in the same company. Adoption of mobility in the sector studied, aided by the adoption of the BYOD policy, which is leading to the extensive use of mobile devices, has been able to lure investments in the segment from major players, like Honeywell, that launched Skynax, a mobility management solution that can process instructions and receive back critical information regarding delivery, goods in transit, etc. Such mobility solutions have been used integrated to UCaaS to enhance the reach of solutions, such as Radio Frequency Identification (RFID) and supply-chain applications. With the adoption of Industry 4.0 and Smart factory initiatives by the manufacturing firms, are set to revamp the manufacturing industry which would result in a boost in the contribution to the country's GDP. This boost would also influence the UCaaS market in a positive way. The United Kingdom's carriers’ initiatives to discontinue integrated services digital network (ISDN) services are driving carrier and customer migration to Internet protocol (IP) connectivity services. The shift is fueling the adoption of next-generation business communication solutions, such as hosted private branch exchange (PBX) and UCaaS markets. In March 2017, the Office for National Statistics announced that retail sales volumes were up by 1.4% when compared to January, and 3.7% higher than in February 2016. Sterling rose on the currency markets after the news of the rise was announced. 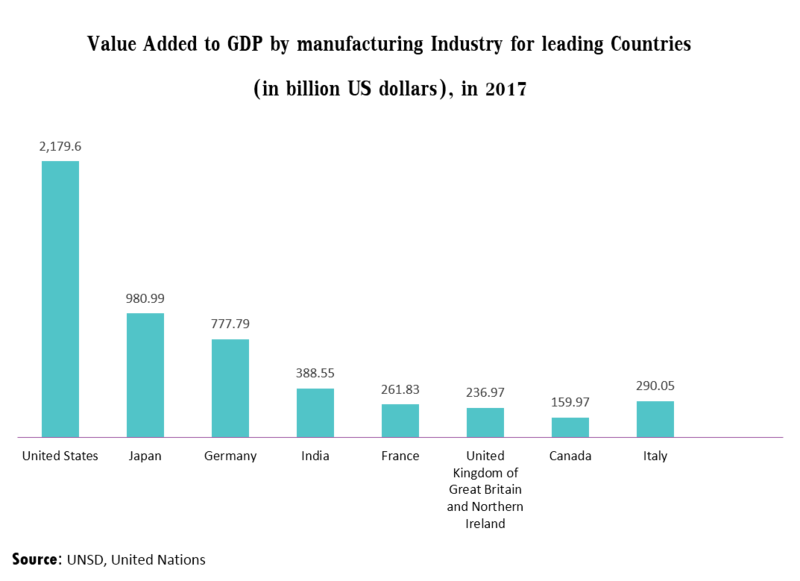 Looking at the potential growth in the retail industry, major players, like 8x8, a US-based company, which is one of the largest UCaaS providers supporting more than 1 million users, expanded significantly in the European market, after the two acquisitions of UK-headquartered enterprises. 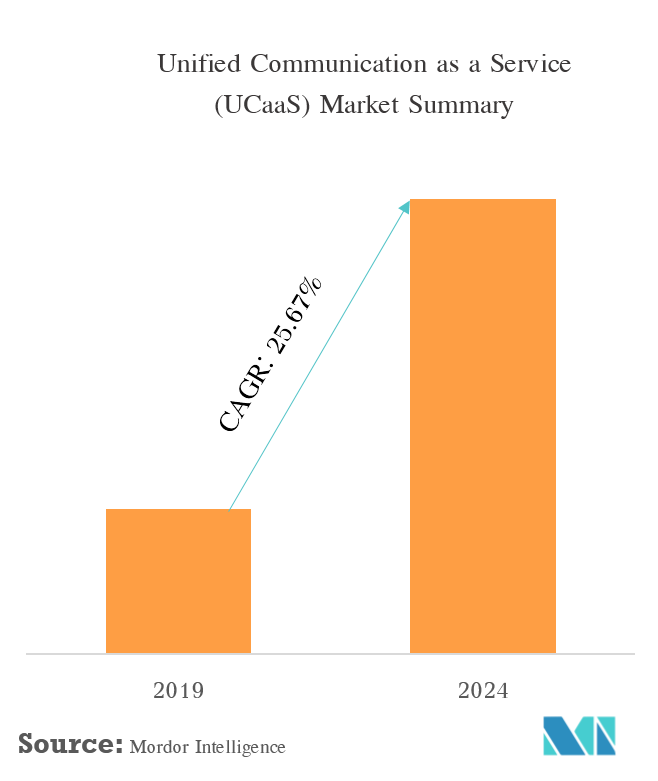 The introduction of new technologies like 5G is expected to drive the UCaaS market in the United Kingdom region. This is due to the UK's launch of the first first 5G industrial trial in February 2019, with a view to create smart factories that would boost the UCaaS market positively. 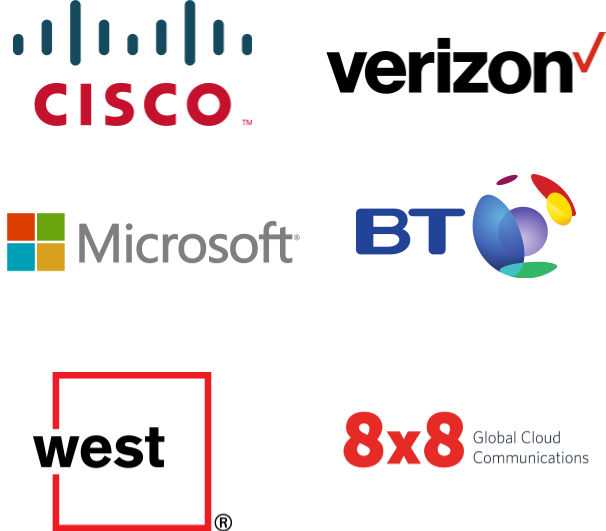 The competitive rivalry in the unified communications market between the players is high owing to the presence of some major players like Microsoft Corporation, 8x8 inc, Fuze Inc, Verizon and many more. 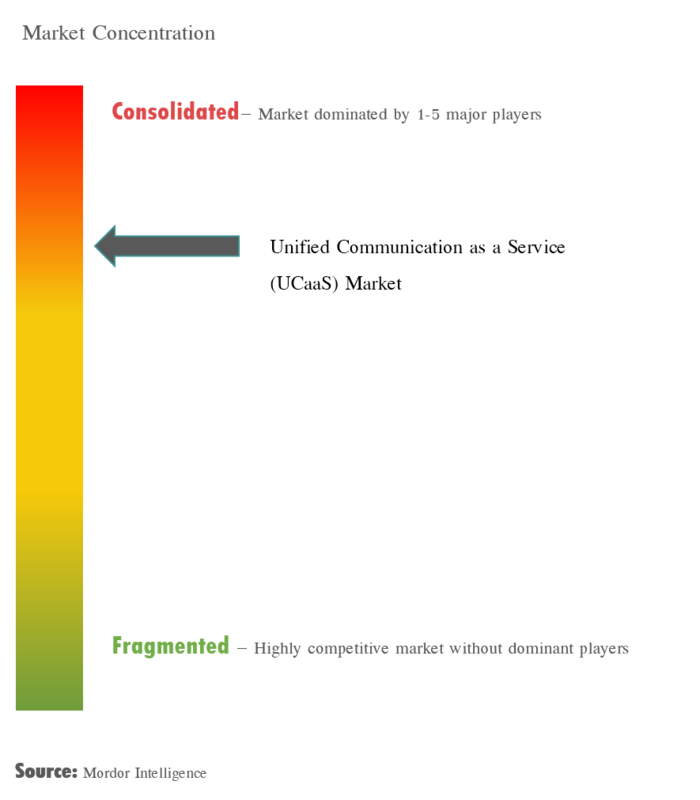 These companies are able to gain a competitive advantage over the other players due to their ability to bring about innovations by investing heavily in research and developments. The companies entering into strategic partnerships and their mergers and acquisitions has allowed them to occupy a substantial share in the market. For instance, in September 2018, Ring Central reinstated collaboration with a reseller, AT&T, in order to sell the UCaaS product to large enterprises and SMBs. In January 2018, AT&T had informed customers that within a year, it would no longer support Ring Central's Office@Hand. However, the partnership was reinstated to avoid business risks, which is likely to arise if customers refuse to transition from AT&T to Ring Central.